As colonies evacuate, the mighty Laconians stand alone. They will never surrender, and their new King, Agesilaus, has a scheme that could transform the fortunes of all Terrans. As leader of the most powerful of the Terran states, he plans the unthinkable. Inspired by the valour and adventures of the infamous Ten Thousand mercenaries, he launches a pre-emptive strike against the Empire. Agesilaus and his twin sister, the warrior princess Kyniska will lead the attack and they will not stop until their enemies are brought to their knees. Little do they know that the God King and his trusted warlords are mustering powerful legions from deep inside the Empire. Soon thousands of Median foot soldiers, hordes of monstrous Taochi warriors, and even large numbers of deadly fighting machines from the Robotic Domains are preparing for war. 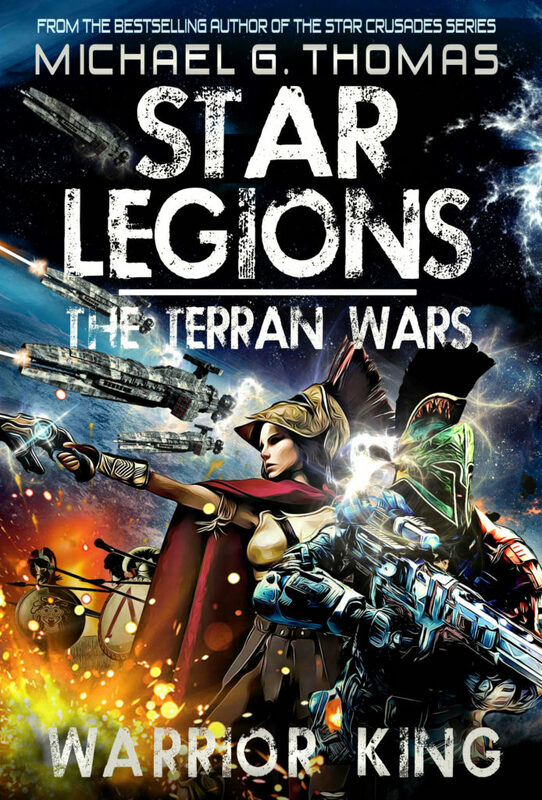 As the Terrans launch their battle of liberation, the God King puts his own deadly plan into action.